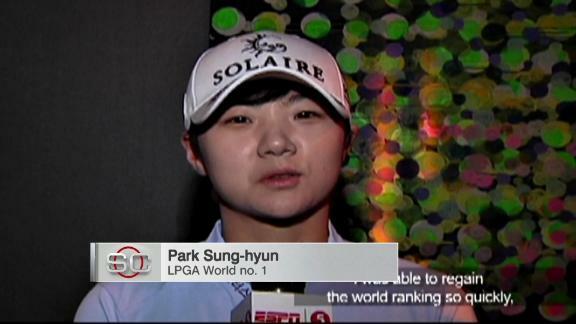 Park Sung-hyun produced a sizzling final round of 8 under par in windy conditions to clinch a two-stroke victory over Australia's Minjee Lee in the LPGA Women's World Championship. No. 1-ranked Ariya Jutanugarn's 10-foot birdie putt on the 17th hole gave her a 4-under 68 and a five-way share of the first-round lead at the HSBC Women's World Championship Thursday. Wei-Ling Hsu and Madelene Sagstrom took a shared lead at the halfway mark of the Women's Australia Open in South Australia.